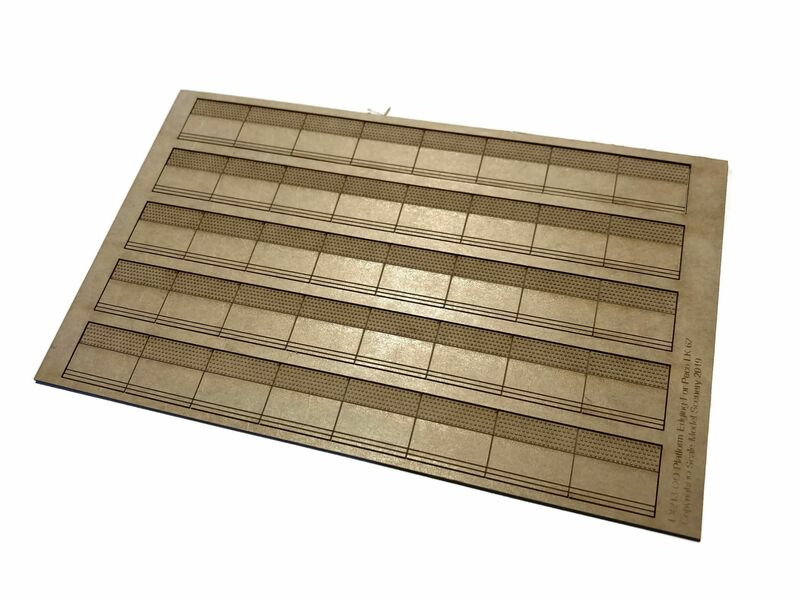 A pack of 5 strips of laser engraved platform coping in N / 2mm / 1:148 scale for use with Peco NB-27 Platform Edging. 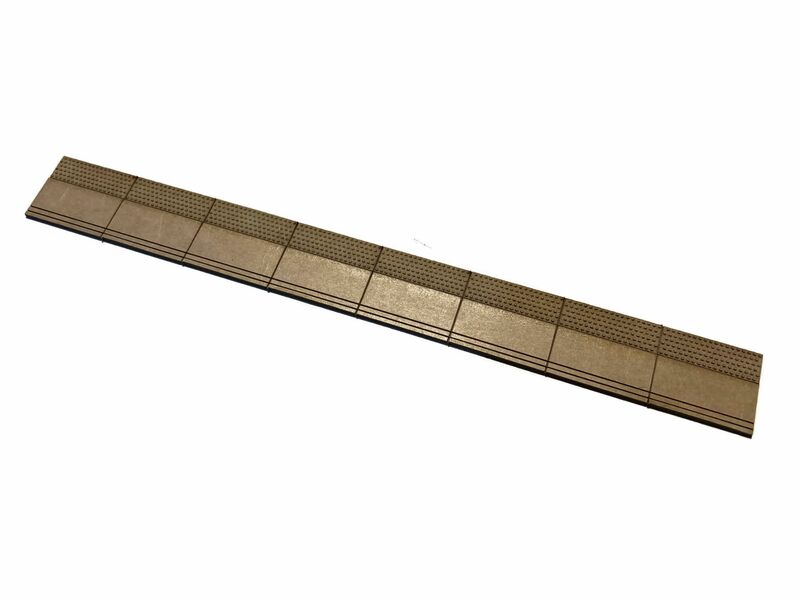 Features engraved slab & tactile paving detail for a very realistic appearance. Supplied unpainted. Simply paint with your chosen colour of acrylic paints, then release from the laserboard sheet & glue into place. For curves platforms we recommend cutting the strips into their separate slabs & trimming of a little from each to work them around the curve.